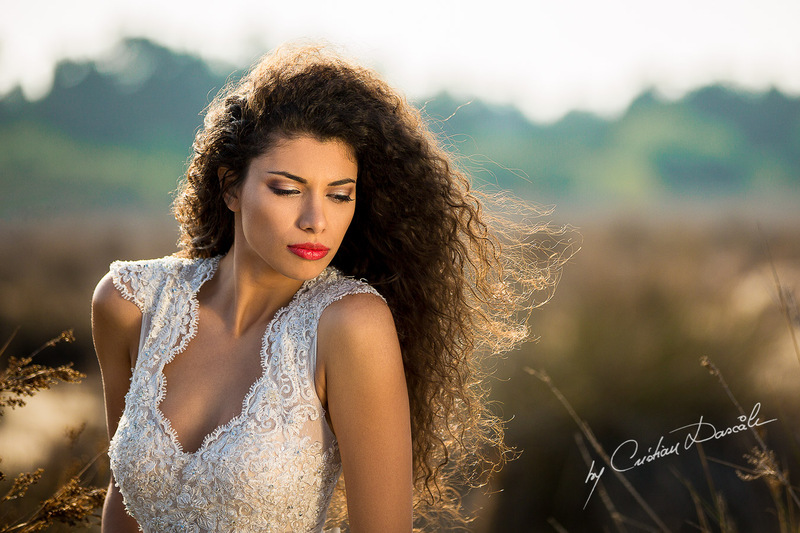 I recently took part in shooting a wedding editorial in Cyprus with the wonderfully talented Martina, a Croatian wedding, lifestyle, and fashion photographer, and another photographer, very good friend of mine, by the name of Costas. He is a local photographer, and it was actually while attending Roberto Valenzuela`s Workshop in Bucharest with him that I met Martina, so we were already all familiar with each other and made the perfect team. This was very fortunate, as the shoot ahead of us was destined to be particularly arduous, but as you will see from the photographs, it was more than worth the effort we put into it. We were lucky enough to have managed to arrange a photo shoot with the famous bridal wear designer Litous, whose work is highly sought after here in Cyprus. Naturally, such an honour merited an equally special location, so we headed off to Akrotiri Salt Lake. 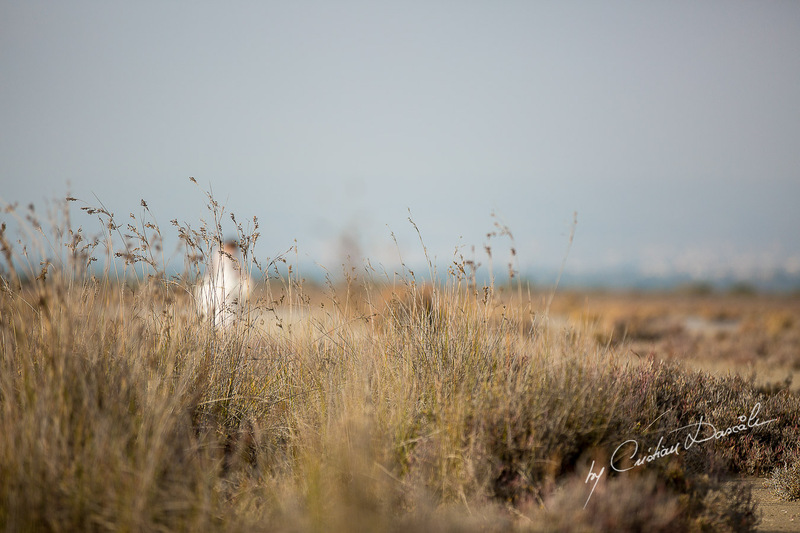 This lake, which is the largest body of water in all of Cyprus (measuring about 10.65 km²), is considered to be one of the eastern Mediterranean region’s most important wetlands, as it provides the ideal home for thousands of migrating birds. We were drawn to this location because of its magical, almost otherworldly landscape; the sprawling wilderness emphasized the delicate beauty, healthy tanned skin, and soft wavy hair of Alice, our lovely model. Her incredible hair actually needed no styling for this shoot—its natural shape and thickness were ideal for our aims, and the wind danced beautifully with the waves of it, teasing tendrils about her face. 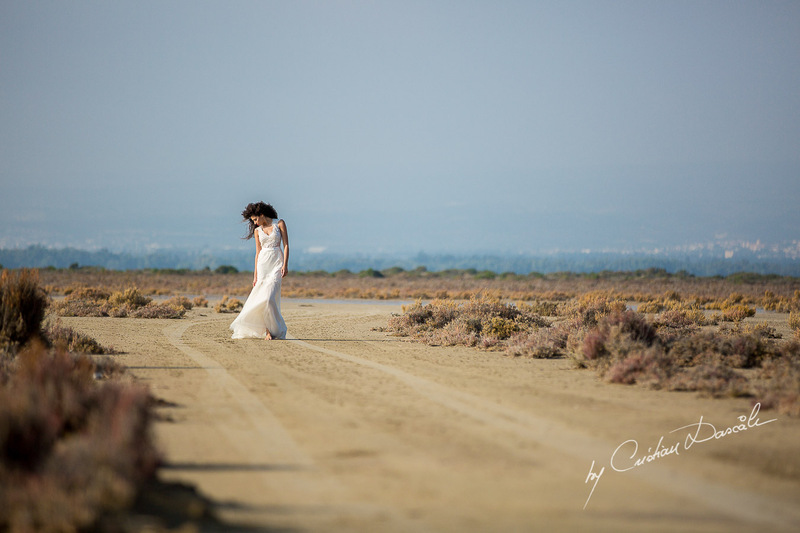 The rocky shore of Akrotiri Salt Lake provided the perfect contrast to the delicate lace of the exquisite Litous bridal gown, and we were even treated to dark clouds billowing up over the horizon, the perfect dramatic backdrop for this editorial. While the shooting wound up taking an entire day, and was thoroughly exhausting for everyone on our team, the results were so glorious that at the end of the session, everyone on the team rejoiced. Producing art is seldom easy, but we can all agree that is deeply rewarding, transporting both the artist and the viewer to another world—in this case, to the fantasy of the bride as a Goddess, surveying her natural kingdom as she radiates beauty. This shoot was one of those days when everything simply “comes together” to create something magical.